These high quality oval adhesive backed labels can be used on inkjet printers, laser printers, and copiers. These oval sticky labels come on an 8 1/2" x 11" sheet and come 15 per page. Each label measures 1 7/16" X 2 3/8" Oval. 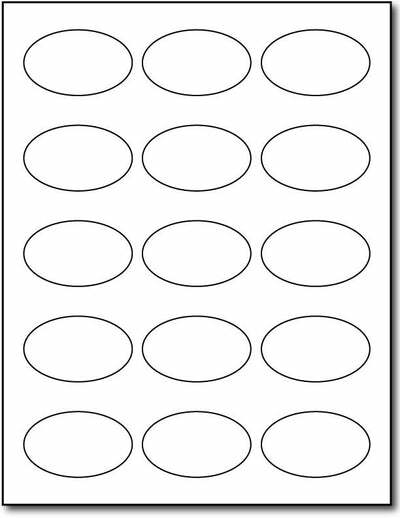 Item Group# 62126 Product features High quality printable oval labels 8 1/2" x 11" 15 labels - 1 7/16" X 2 3/8" oval each. Use with inkjet printers, laser printers, and copiers Available in 20 or 100 Sheet Packs.